eating most of the quad-core..
this is one of the best phones i've ever used...its weird how websites these days are so easy to bash sony when their products are every bit as good if not better than the competition. this review said that the gs3 is better at this price point - dumbest comment ever. I'm still raging about the arc S not getting the Jelly Bean update after Sony, quite literally, gave all arc S owners false hope. So in saying that, I honestly wouldn't be surprised in them dropping 4.2 updates for the 2012 generation Xperias. The update plus, the 2011 Xperia range have faulty ICS updates (mono-sound video recording when the GB had stereo, seldom working Wifi caused by poorly tested drivers, USB OTG is broken, and the ICS itself is laggy like no tomorrow). Nice review...I have also pre-ordered one from SMART Ph..but after reading Xperia V forums..I will not get it unless they will give it for free on a lower data plan. Xperia V is suffering from Sleep of Death(SOD)..
the stupid phone has 30 hrs of battery life?? whats the point of getting mobile if every now and then you need to plug it. DOUCHE! AnonD-98641, 30 Jan 2013Thailand... The store will not take any responsibility and they keep telling me to contact Son... morethat's rather unfortunate and somewhat incredible. don't you have consumer protection laws there? it's unheard of for the offices of major companies to say that you just have to "live with it" (the defect). i don't really think a company will do that, let alone a company like sony that strives to bring customers to address its losses. best to report the problem to a government office that handles such issues. your complaint here won't go anywhere unless you're simply bent on besmirching sony's reputation. i hope GSM arena would do a comparison review between Xperia Acro S and Xperia V.
Primark, 30 Jan 2013From what country are you anyways? never heard of such a thing, even here in the Philippines t... moreThailand... The store will not take any responsibility and they keep telling me to contact Sony about it. Sony wasn't a big help and pretty much told me to live with it. AnonD-98641, 30 Jan 2013I bought one and less then 24 hours a dead pixel pop up near the middle of the screen but the ... moreFrom what country are you anyways? never heard of such a thing, even here in the Philippines there is a 7 days replacement guarantee if defect occurs, hmm, I think them not replacing your unit has nothing to do with Sony, I think that it has more to do with your local retailer. I bought one and less then 24 hours a dead pixel pop up near the middle of the screen but the shop or sony doesn't want to do anything about it. I pay the same price as everybody, why should I have to accept the one with defect. 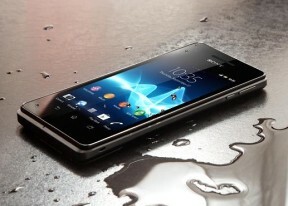 I really want to like this phone but Sony customer service is poor. Design is good, performance is good, supply is not good. The stereo headset can control the music player (next, pause, play, previous)? only 30 h batery life ??? I have always liked Sony Products, however as far as mobile phone go, I will wait for the new Blackberry. I already have a Note and a BB9900, but a Z10 I will wait for as an upgrade. Frankly I use the Blackberry most of the time during the day and their new device will really do well. Dont need an Android device.